Has anyone heard anymore about an ATS V wagon? 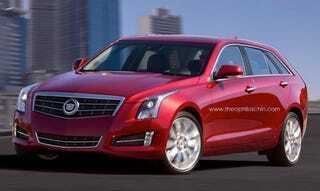 Hell, the ATS V sedan? I haven't read anything in a few months. I'm starting to get a fever, and it's only cure is a wagon.